Hello, countdown to holiday gift knitting! Maybe you start earlier but around about now - when I have Halloween mostly sorted (and an embarrassing amount of Halloween candy ingested) - is when I start noticing that Christmas is next and I've done nothing crafty to prep for it. 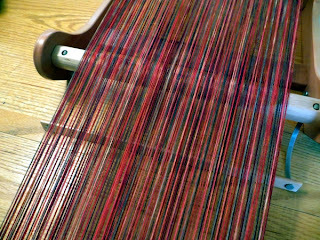 Time to get out the loom. 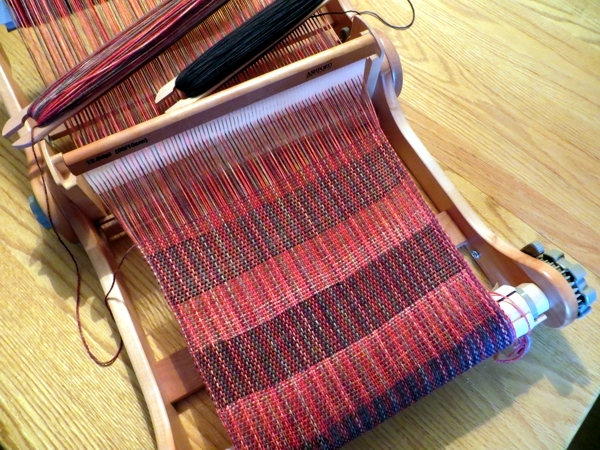 In fact, 'Set up the loom' has been on my to-do list every day for the past two or so weeks. I consider it a triumph to be writing this post today, all things considered. I put a lot of length into it. 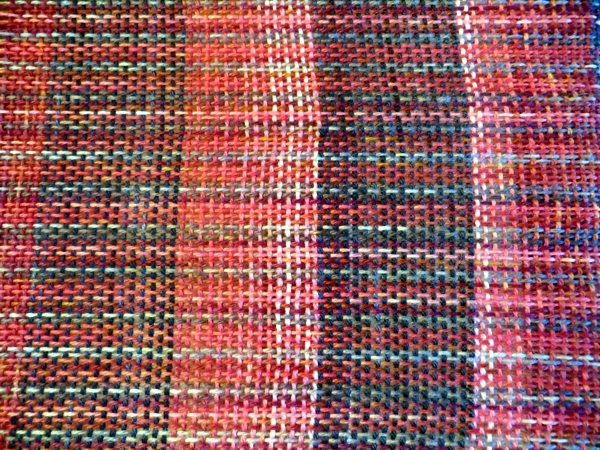 Each row of weaving takes at least 10" of yarn. 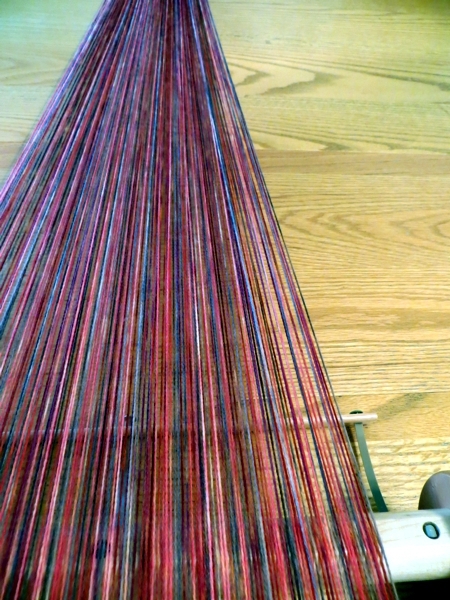 There are 6,912" of yarn left over from setting up the loom. That means about 691 rows of yarn. It takes 20 rows of Arial to get 1" of scarf. Bottom line: after setting up the loom, I am going to have enough matching yarn left over for a 34" scarf. Fortunately, I found some similar-weight black cashmere blend yarn that's meant to go with another colourway and may yet do so, if this scarf works out and there's enough left. I'm alternating stripes, doing 15 rows of each colour, and starting and finishing with black because I have more of it. Now that I've figured out how to change colours neatly I must say that stripes are a brilliant solution to the boredom problem that trails along behind my loom: I'm just so motivated to get to the next stripe, I've done the first foot or two without wanting to stop. And I find my thoughts drifting to the sock yarn I may never get time to knit with, because I think a solid stripe would look better than this variegated one. What do you think? Does the variegated striping work? And now that we know what I'm doing this weekend, let's focus on you having a great weekend yourself. Do something fun, and I'll see you back here Monday! Love it! 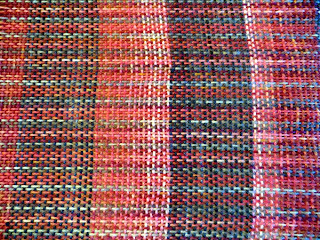 And kudos to you for keeping at the weaving! I love the stripes! I forgot-what kind of loom do you have?